Your church is one of the most ideal places for criminals to break in, since it is often quiet, and there are so many valuable items in it. The record of kidnapping, robbery and violence in churches is enough to prove that there is an urgent need to fortify your church buildings. One of the easiest and most effective church security solutions/equipments is to install church security cameras to deter any possible thieves. Here comes the question: what kind of security cameras (systems) are suitable for your churches? 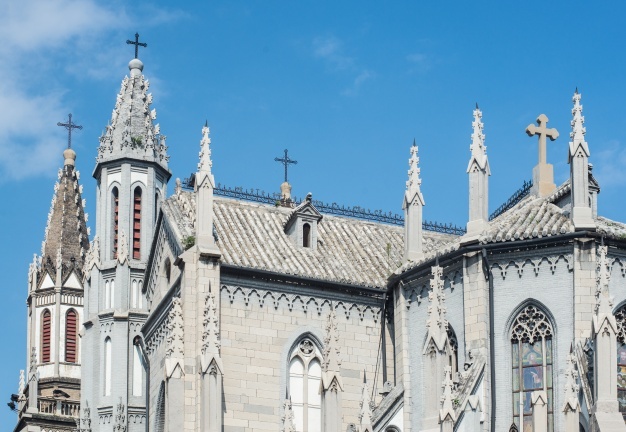 How do you choose the best church security cameras (systems)? We’ve GOT your back. You will get useful information in this church security cameras (systems) ultimate buying guide. Before getting bogged down by a wide range of church security solutions/equipment, think about what you hope to get from a security camera (system) for your church. When you hold church services or sermons, there would be a great number of people in and out from multiple entrances and exits frequently. It is difficult for you and your ushers/dignitaries to controlling the arrangement within churches. However, with best church remote security camera systems installed at specific angles in your church, you can get a bird’s eye view of things and bring everything in order much more easily. And you can monitor all people in the church hall on your PC or mobile devices. If you detect any suspicious people, who have the attention to steal the money or other expensive facilities (such as plasma screens, iPad and other electronic equipment), you can take actions at once to avoid any possible damage or loss. Keep it in mind that internal thieves are not a rare thing in churches. 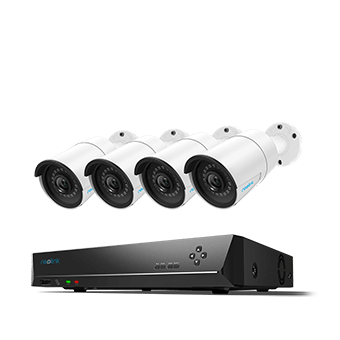 There are 2 popular church worship security camera system types: church wireless and PoE security camera systems. Church wireless surveillance camera systems can be installed almost everywhere within WiFi signal. But you need to find wireless security systems with stable WFi Internet for your churches/religious institutions. Church PoE security camera systems are the easiest wired security camera systems. One power provides both both data connection and electric power, which frees you from cable hassles. Children’s security is always the first concern. If your church has daycare and Sunday school, it is necessary to install HD PTZ security cameras for your church to keep all children safe and secure. One of the greatest strengths of church PTZ nursery security cameras is that they can monitor every corner so any possible dangers will not be overlooked. Under the protection of PTZ live streaming security cameras, children’s parents can see the situation of their children. PTZ church video recording cameras, especially with long range night vision, are the bet security cameras for church. 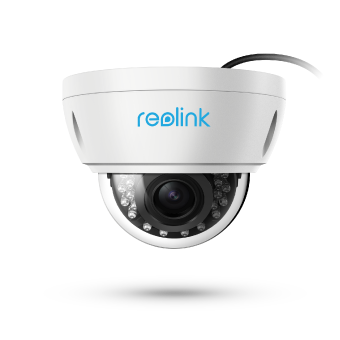 If a child goes missing, this kind of security cameras offer high definition video quality to make it easier to identify who the child left with, and the time when the child was taken. Some of criminals would steal or vandalize security cameras. Thus it is a must to install vandal proof dome security cameras. 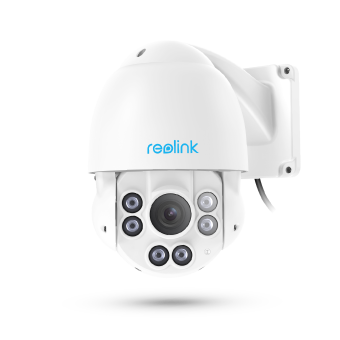 Take Reolink RLC-422 vandal proof camera as an example. With its firm housing, it is immune to physical mutilation or damage. Plus, if you need wall cameras for your church, this camera is a wise option. When you buy church security cameras (systems) in Tennessee, Lakewood US, Athens area, Ireland, Brighton UK, etc., you need to focus on buying security cameras (systems) with remote access for your sacred security. Since it’s impossible for you to monitor your church 24/7, security cameras in church can see and record everything. When you want to see what’s happening in your churches, you can just take a look at your mobile devices. Just install the security camera app and client software, and you can control your security cameras (systems) in church by all of your devices both remotely and locally. When you are installing your security cameras (systems), you can follow the below installation tips. #1. Install security cameras for all of your church entrances and exits. You can see who and what are outside your Cathy church doors. For example, when someone who are late for your church sermon and is locked out of the church hall, you can open the door for him/her when you see this situation from your church security cameras. #2. Install dome security cameras on the ceiling of your church hall. Most valuable items are stored in your church hall. It is essential to install more security cameras in your church hall. From the perspective of aesthetics, dome security cameras are the best type to install in the ceiling of your church hall. #3. Get a security camera particularly for your cash box. The positions of your cash box after a church service or sermon is the most alluring target for criminals. With a security camera pointing to the money box, generally criminals would go away since they don’t want to be caught in the act. #4. Equip your church parking lot with church HD security cameras. If you need to read license plates, you should get 4MP HD security cameras. Keep it in mind that the higher the security camera is, the more crystal images/videos you will get. It is natural that your want to buy cheap but effective security cameras for your church, but quality comes first. When weighing the pros and cons of investing in a church monitoring security system, it’s also wise to consider what the eventual cost of a break-in and robbery could be. This entry was posted in Buyer's Guide and tagged church security cameras.